Henk Hannemann is a Dutch artist who constantly works on his collages and assemblages. Even during his travels he brings a pair of scissors, glue and paper. He picks up his vintage leaflets, magazines, books etc. along the way. In his hometown Leiden in The Netherlands he works in an old classroom both on his collages and assemblages. Regularly he has exhibitions. You can also find him on Facebook. Since summer 2014 he works on his art in the former mental hospital Schakenbosch on the border of Leidschendam. The books and magazines he uses for his collages are often half a century old or even older. 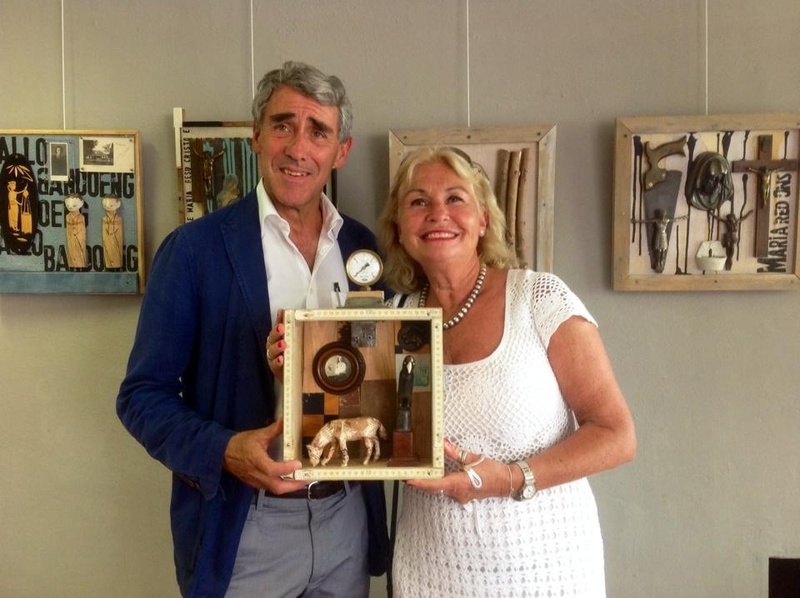 The assemblages (boxes) are made from objects found on the streets or on flea markets and second hand shops. 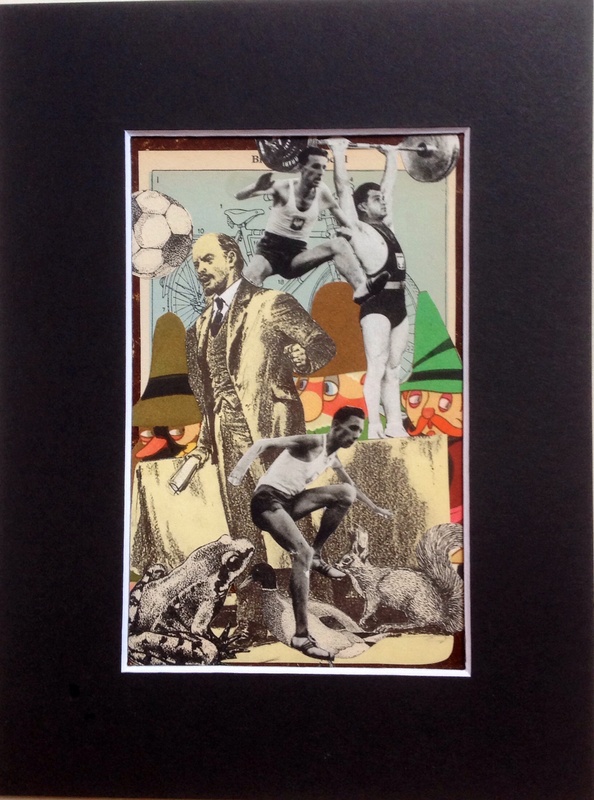 Hannemann got selected in 2014 for Kunstwerkt in Belgium with a collage about the First World War. His work was exposed in Muzee in Oostende. 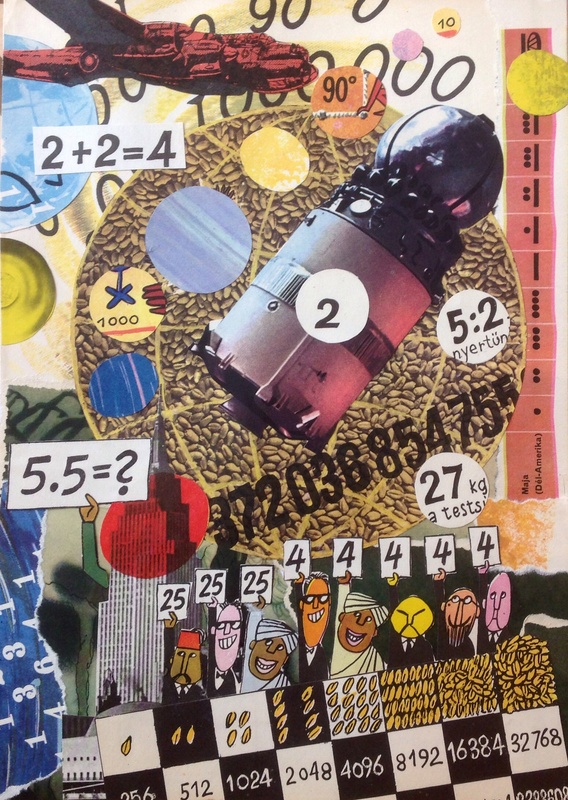 In 2015 his collage Great Balls of Fire was selected for the Zomerexpo in Haags Gemeentemuseum. In January 2016 Henk Hannemann was accepted as a member by Ars in Leiden, the oldest Art society in The Netherlands. In 2017 Hannemann was rejected for the Zomerexpo but selected for the Salon des Refusés in Stedelijk Museum Schiedam. Update. On the first of May 2016 Henk Hannemann moved to a new studio in Hazerswoude-Rijndijk. And guess what? He got asked back to Schakenbosch-Leidschendam. So at the moment there are two studio's. One for the collages and another one for the assemblages. Contact: henkhannemann@yahoo.nl. Or mail or phone: rikhasselbach@yahoo.com-(0031)612222263. Assemblage. 60x60cm. Rita Hayworth, cigar mould, Gimborn tin, piece of furniture, puppets, picture of a dog etc. On a board found in Cronesteyn Park in Leiden. Sold to a lovely couple in The Hague-Holland. Old wooden box, old inlay of pieces of wood, paper horse, old parrot etc. 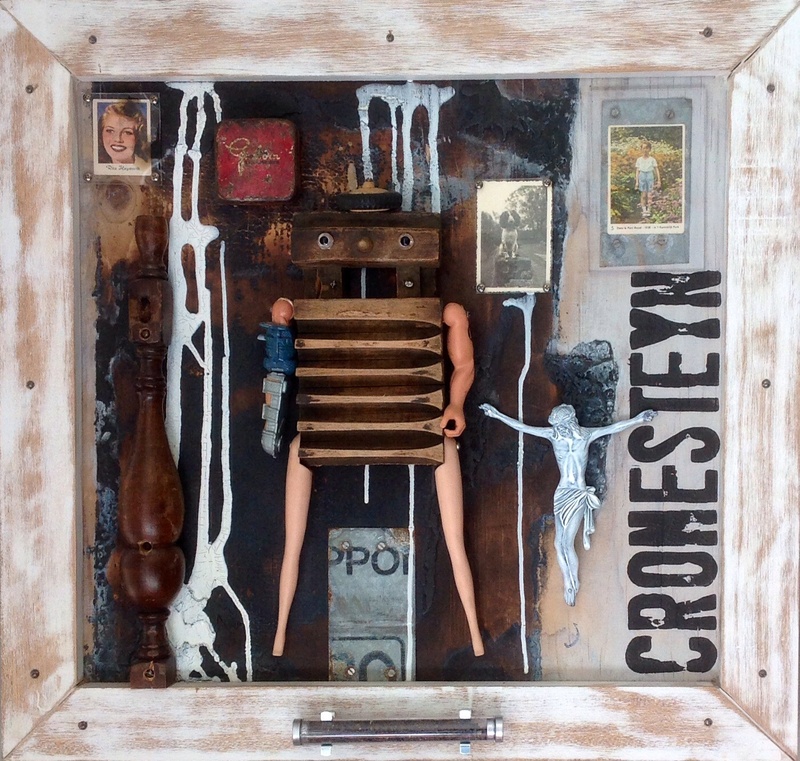 Also one of my latest assemblages: Little Altar for Kovacs Gyorgy. Found a wallet from Kovacs Gyorgy with all his personal belongings on the flea market in Szeged on a sunny Sunday morning. I made it, with other little things, into a sort of remembrance for an average working class hero that lived in Hungary some fifty years ago. 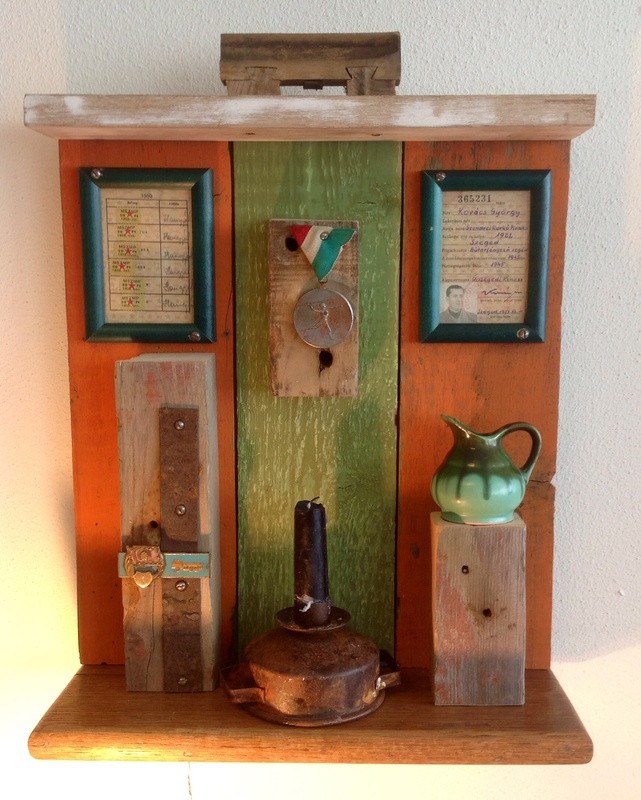 My latest assemblage made in the beginning of May before I left for The Balkan. Also on sale for € 195,– at Galerie Haags in The Hague. 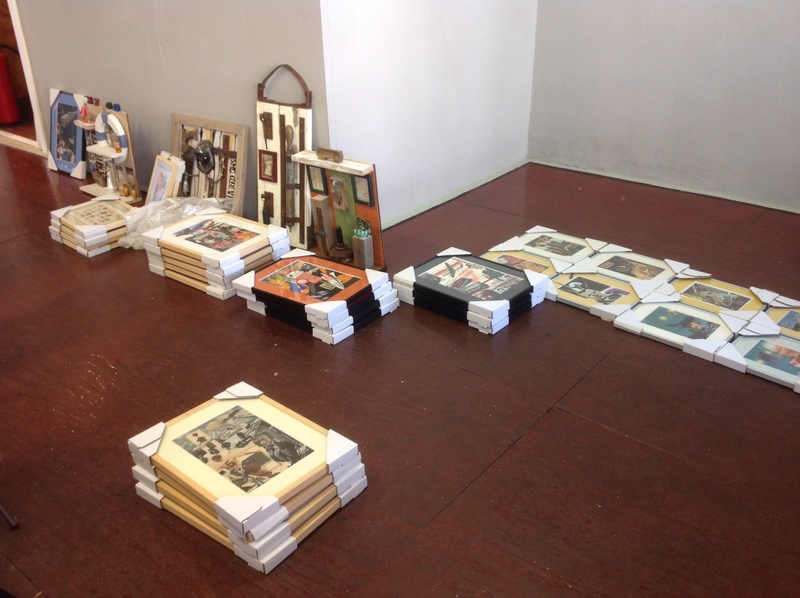 Preparing for my exhibition in Galery Haags, Koningin Emmakade 148 The Hague (Den Haag). Starting Monday June 9 at 3 o’clock. More than 50 collages and assemblages. On my way to Ferencvaros in Budapest-Hungary I picked up a book for children for 500 Forint. It became the base for Away From The Numbers, a song by the legendary The Jam. A comic book from Serbia and another book from Hungary, both from the sixties, made the collage complete. The size is complete A4 (21×29,7cm). Made this one a few weeks back while I stayed in the Slavija Hotel in Belgrad. 18x24cm. Inner part 10×16. It’s not my favorite. But it’s special because I ran out of my 300 grams paper so I used a cover of a book. You can tell by the brown surroundings in the frame.